I have to say, I’m a little embarrassed about these pictures. One of my New Years resolutions was to take better photographs and to more accurately capture the beauty of polishes, and I am breaking it already. For some odd reason, my camera hated this combo because it distorted the color of my skin tone. Oh well, you can see just how gorgeous this polish is! 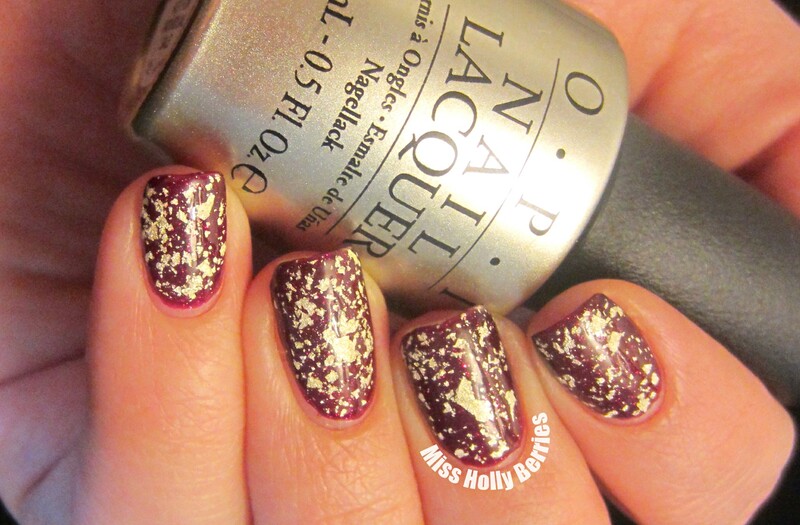 OPI “Pure” is an 18k White Gold and Silver top coat that came out in the Mariah Carey OPI Holiday collection. 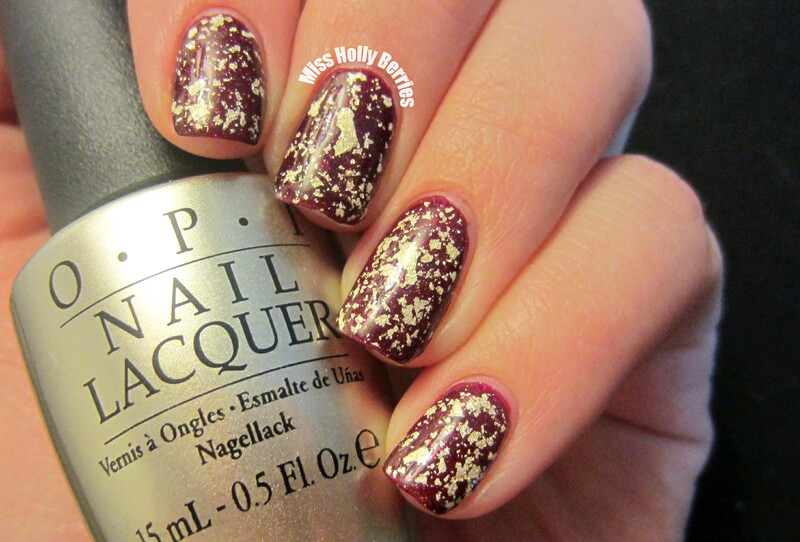 It is the sister polish to last year’s Man with the Golden Gun, which was a yellow gold top coat. I knew I had to have this polish because I’m more of a silver girl than gold and loved Man with the Golden Gun. I thought I would get a lot more use out of this one. 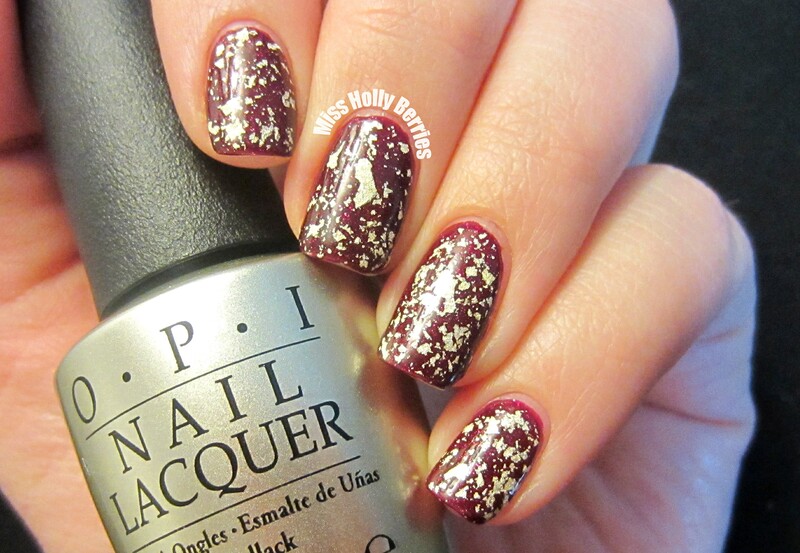 And there’s something about having real white gold flake on your nails that makes you feel luxurious. The formula on this polish is good but application is really tricky. Here are a few things I found out through trial and error with this polish and last years … if you do more than the 3 stroke application method, it breaks up the flakes on your nails and you’re left with small pieces. Also, if you store this normally, all the flakes sink to the bottom of the bottle and you’re only going to get sparse flakes. Sit it upside down for about 15 minutes before application and you’ll get big flakes. Also, if you apply it over polish that isn’t totally dry, it makes the polish run, as you can see on my middle finger. Once you master the application, its a great polish! What do you guys think? Did you get this or The Man with the Golden Gun? I got this one yesterday and I can’t wait to try it out! Thank you for the advise! I’ve been curious about this polish for a long time. It looks really cool on you!